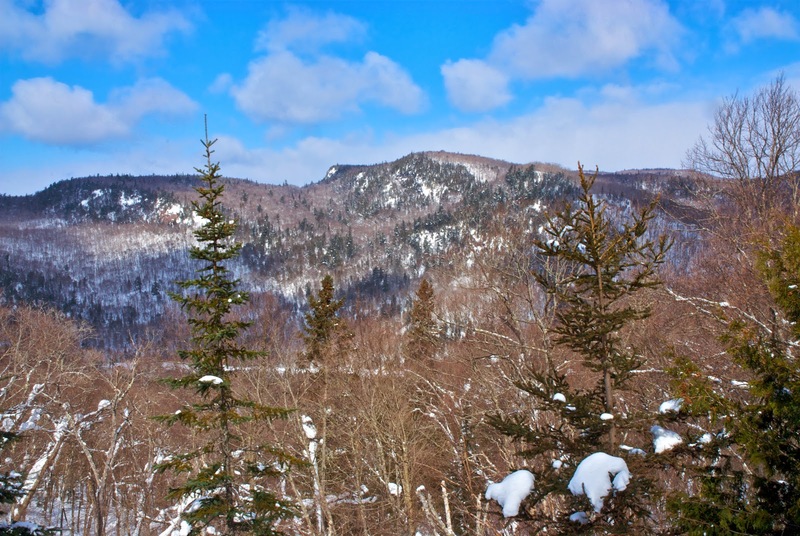 Agawa Canyon may not be in the top 10 of winter camping destinations in Ontario but it is far more exotic and beautiful place than those on the list. Getting there is far more challenging but the rewards for doing so are much more gratifying! This first image is of the Goudge Gateway and the second is of me holding the water colour copy of a painting done approx. 1907 by train surveyor Sidney Johnson before they put the ACR tracks through. But before we discuss how to get in you must be aware just how harsh the weather and landscape can be. In the heart of winter you must be ready for conditions where the temperatures can range down in to the -40’s and that is cold in any system, plus very strong winds and being in a snow belt very deep snows. Last year over 2metres and with really deep snow river travel is very hazardous because you cannot see where the open water sections are. 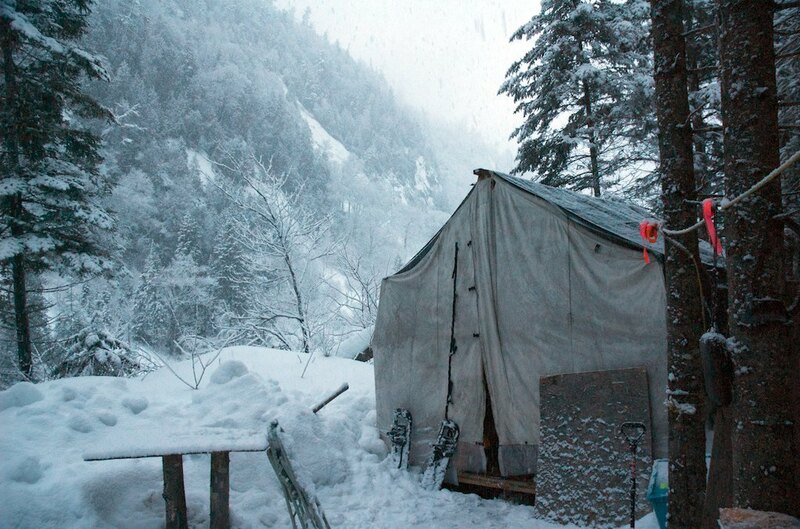 I usually base camp and use a canvas tent with wood stove (hot tent) but then even then I pull a small sled with survival and backup gear on day trips should things go amiss. 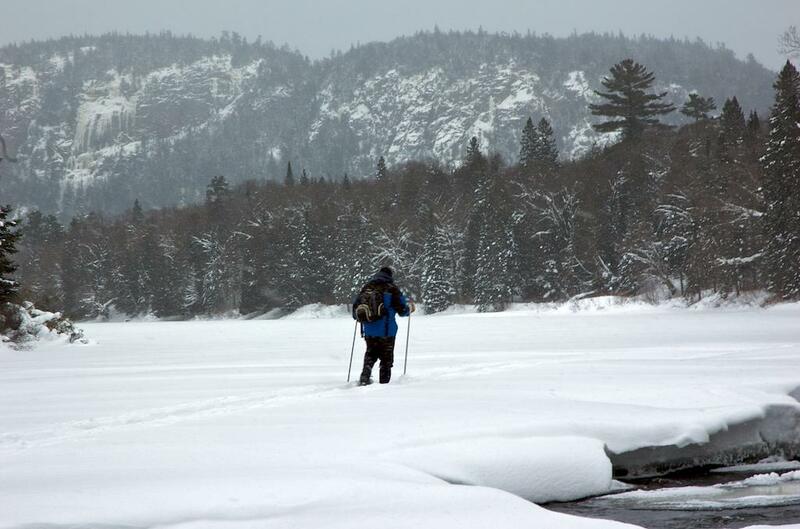 You can snowshoe or cross country ski in from the highway or the easiest way in/out is by the ACR passenger train. Winter Trekking .com site. This is the premier community for winter camping and trekking and the members are both polite and very helpful. They will critique your choices and give you suggestions where to go for equipment or on how to improvise with what you have. If you are not quite up to the experience of camping on your own you can contact Superior Exploration and climbing Co. They have a hot tent set up right in the middle of the canyon and Shaun can guide you in the area and take you to the top of one of the ice climbs in the area. There are some others in the area that may be able to hook you up with people that are knowledgeable about the conditions or some local guides. 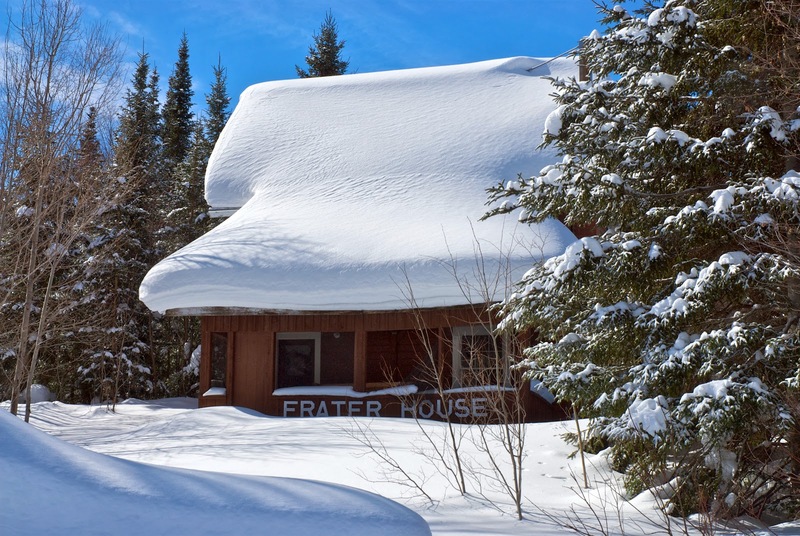 If you are looking for warm accommodations there are several but the Stokely Creek Lodge will put you into the heart of King Mountain conservation area. Finally if you do are not the kind of person that likes to trek through the snow and hills you can take the Algoma Central Railway Passenger service on a two-day trip. You pick up the train in Sault Ste. Marie spend the night at a hotel in Hearst and back down to the Sault the next day. You will have to take your own lunch on board for it is a full 2 days of train travel but you will see just how awesome Algoma is. Lower Agawa Canyon terrain. This will give you some idea of the size of the hills in Algoma. If you do take the train in on an unguided winter camping trip and doing a base camp it is a good idea to bring in some firewood with you. It is worth the cost of extra weight on the train because with the very wet fall we had, good dry firewood will be a major effort to find and collect. With the Ash borer problem it is best you by local wood or take some of those fire logs. It will make the trip much more enjoyable. Meakin Forest Ent. sells certified ash borer free fire wood and they can tell you which outlets carry their pre-packaged firewood in the Sault area. Just a friendly reminder/heads up abut winter camping in the area. Cell phones do not work and satellite technology, either phones or other services do not work well in the canyons. Make sure you have a good plan and someone knows your trip itinerary. Plan for the worse possible weather conditions and have the gear that can keep you warm and comfortable, the forecast can change very quickly and snow squalls off the lake can dump a lot of snow in a hurry making travel very difficult. I bailed for that very reason after one night last year. I had all the cold weather gear and was quite comfy but travel was extremely hazardous and hard. It is always better to come out and try again another day.